Last week, Weight Watchers made known their intent to provide “free” membership for 6 weeks this summer for teens. 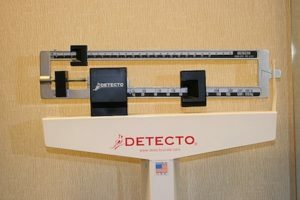 While this might seem like a great idea on the surface – overweight teens provided free counseling on how to obtain a healthy weight – great right? Actually, no. Not great. Their intent is to create future customers as they move toward their goal of $2 billion in revenue by 2020. They know if they start now, they’ll capture future dollars! Teen bodies are in the throws of lots of changes. They are growing. Sometimes weight gain precedes growth spurts and these can happen well into teen years. Sometimes weight gain is our body’s way of preparing us for future roles as parents. There are all these hormones and stuff. These young bodies are not yet what they WILL be. But they are laying the foundation for what they will become. Healthy bodies need to be nourished appropriately. Calorie deficits don’t necessarily build healthy bodies. Many young girls (and boys) believe their bodies are “messed up” or fat because they’re soft – or not “cut” like those bodies they see on the covers of magazines. They don’t know that most bodies aren’t supposed to look like that. Believe it or not, most bodies are not meant to be a size 2! Because genetics. Moreover, mentally, spiritually, and physically, they are digging roots and writing lines that will stay with them for many years, maybe a lifetime, into the future. The things they tell themselves based on the input of others – of peers, adults, mentors, respected authorities, health professionals, counselors, and many others – will determine how they see themselves for years – maybe for a lifetime. And how they BE themselves. Their worth is being defined based on the input of others. What should they hear? That they can only be happy if they are at a certain weight? That they are unattractive and need to change? That they aren’t completely deserving of love where they are, but instead need to deprive themselves in order to measure up? That they need to become preoccupied with calories and counting instead of learning and having fun? That there is something “wrong” with them, instead of what is right with them? I have seen children as young as SEVEN years old with disordered eating behavior. Let that sink in for a minute. Listen, I get that overweight and obesity is a problem for many people. It can lead to serious health problems like diabetes, high blood pressure, joint issues, and much more in the context of an unhealthy lifestyle. Kids and adults need to learn to cook, eat nourishing and healthy foods, and maintain a lifestyle that supports a vibrant life. I AM a registered dietitian, after all. But I DO NOT think that putting kids on diets is the answer! In fact, I don’t provide weight loss focused counseling in my practice for a reason. Focusing on weight loss does not produce sustainable and long-term health. It only leads to yo-yo dieting. A healthy life is not dictated by the number on the scale. No matter what they call it, what Weight Watchers offers is a diet. Plain and simple. What adults choose to do to themselves is certainly their choice. But it is not okay for Weight Watchers (or any organization) to take advantage of children. And at the end of the day, that’s what this is.